SORSOGON CITY 8/31/17 (Bicol Standard)--"Simply a classic example of irresponsible news writing and malicious distortion of the truth." This is the statement of Sorsogon Gov. Bobet Lee Rodrigueza on the recent report that the salary of the contractual workers at Dr. Fernando B. Duran, Sr. Memorial Hospital or Sorsogon Provincial Hospital has been delayed for four months. In truth, according to the governor, they were not paid their salaries only since July 2017 because their contracts were awaiting renewal. The said report added that the reason is the computerization of the Personal Data Sheet (PDS). Gov. Rodrigueza clarified that the real reason behind the delay is that they are waiting for the appropriation ordinance of the budget that is needed for the renewal. 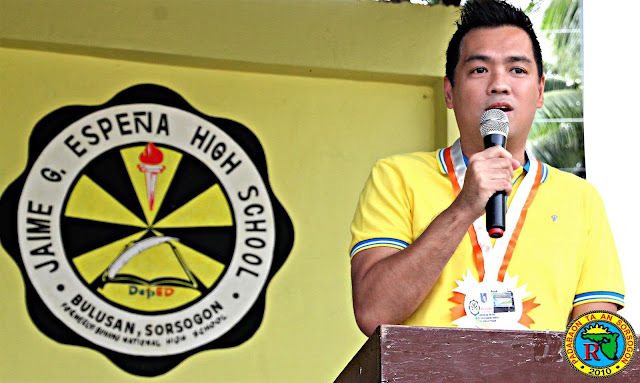 "Actually, handa na ang mga PDS at naghihintay na lang ng instructions kung pwede na for submission," he explained. He added that in fact, the salary of the contractuals were raised in January 2017. "Naturally, added funds are needed for this. Patience is what is necessary to fix the system." He blasted the "one-sided" report that was published (not this newspaper). He asked: Should they not have rejoiced since it meant that the governor had acceded to their request for an additional remuneration? He also lamented the fact that he was not even given the chance to explain his side before the story, which was very derogatory, was published.